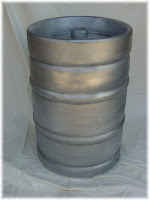 Was the base of the keg. and cannot even write criticism. Spent on your hair and not your hide. You’ll escape yet from the peer review. The three just above (Pound, WCW, Dickinson) are the work of Jay Scott, who writes (among other things) The Daily Whale, satires for every leaf of the calendar.